African art and masks of the Babanki people. The Babanki people, who live in the western grassland of the Cameroon, share the tradition of elephant masks with their neighbors, the Bamileke. Bamileke elephant masks, however, are usually made of fabric and adorned with glass beads. 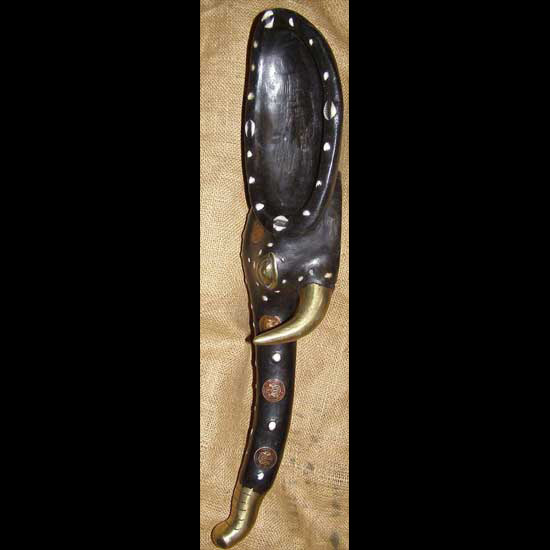 The mask at left is the typical Babanki style, hand crafted of wood, brass, cowrie shells, and coins. 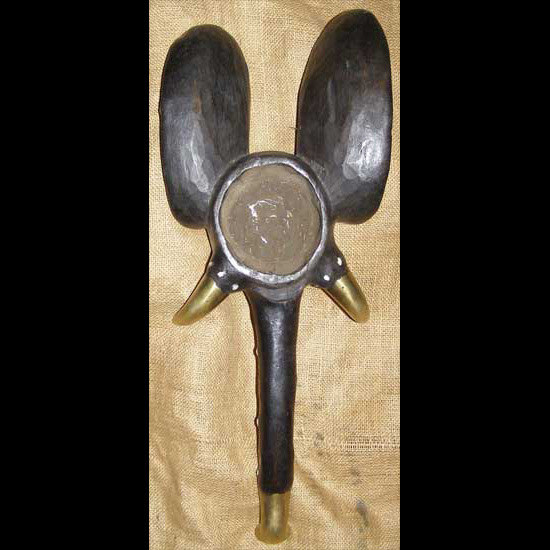 They are worn on top of the head during dance ceremonies and funeral processions. The elephant is considered a royal animal among the Babanki, and these masks are therefore reserved for higher ranking tribal leaders. 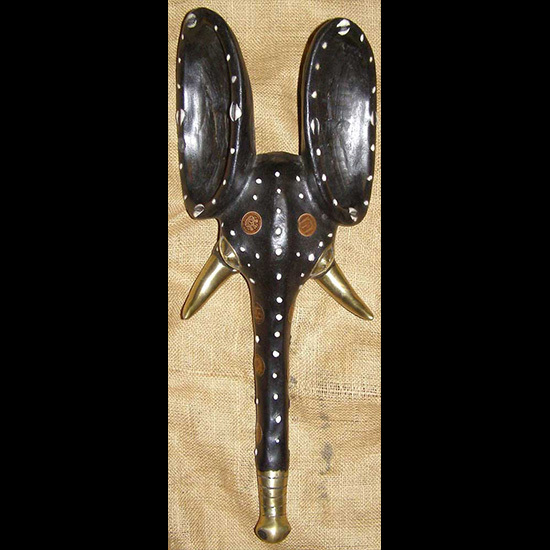 This Babanki Elephant Mask is 23 inches tall and 9 inches wide.